PSM-5 and PSM-10 are portable lightweight microscopes for hand-held field inspection of prepared surfaces and replicas. Built for rugged use, PSM-5 and PSM-10 are both ideal for the examination of prepared surfaces provided by TransPol-5 and MoviPol-5. 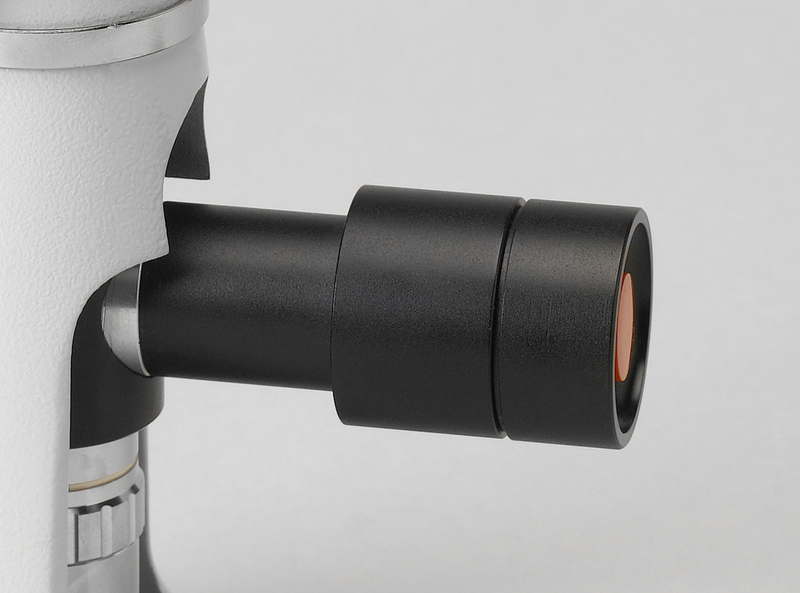 PSM-5 provides up to 400x magnification, and PSM-10 provides up to 600x magnification. A high-quality digital camera option is available for both models. More options include a measuring eyepiece and a plate micrometer. A magnetic cross-table and a tall tripod base are available as extra options for the PSM-10, for inspection of curved surfaces, such as pipes. 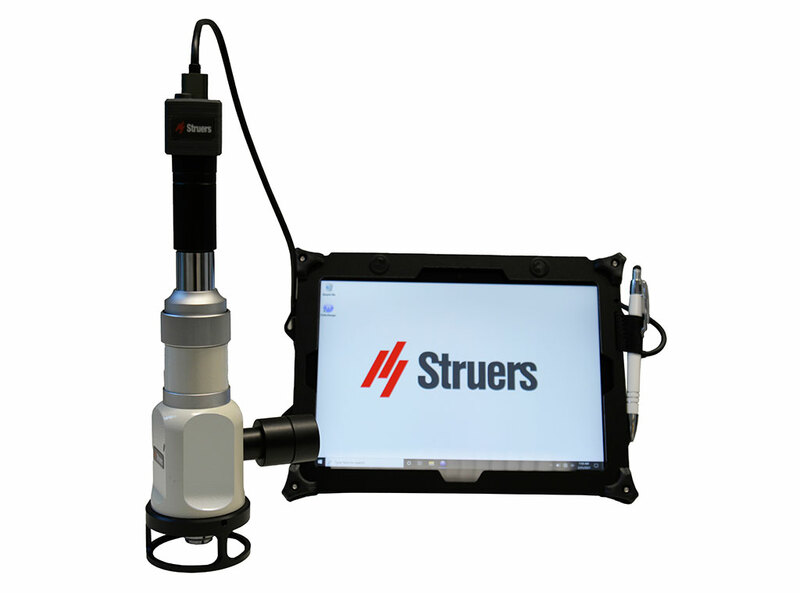 Part of the Struers non-destructive portable preparation and inspection range, the PSM-5 and PSM-10 microscopes are easy to transport. 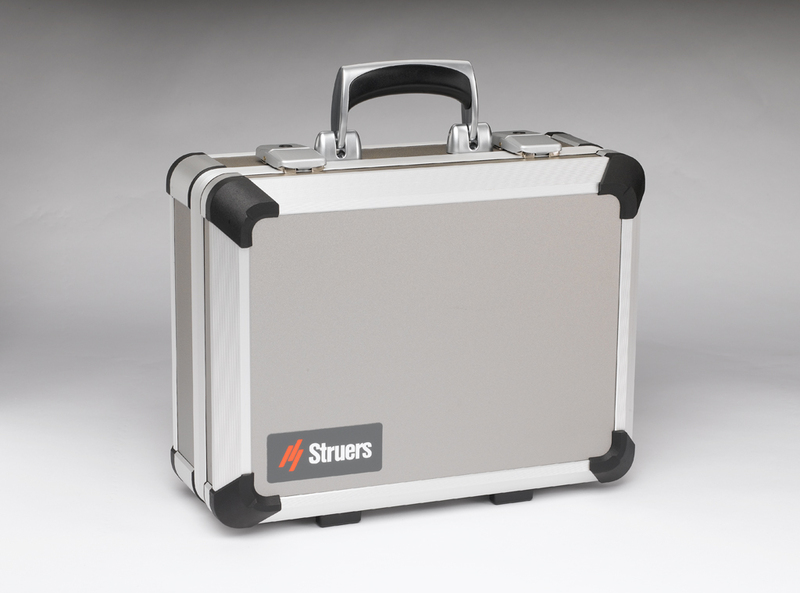 The aluminum transport case can contain all that is necessary to perform an inspection, including microscopes, a camera option, and a microscope adapter. A wide range of accessories means that the hand-held PSM-5 and PSM-10 microscopes can be used for a wide variety of inspection types. The battery-powered LED light provides an excellent view of the subject for inspection and does not require a separate external power supply. The strong LED light is battery-powered, and it has no need for an external power supply. The microscopes, a camera option and a microscope adapter are all supplied in aluminum transport cases. The PSM-5 and PSM-10 microscopes are part of a complete range of portable equipment and consumables for materialographic, non-destructive preparation and inspection. These tools are supplemented by a wide range of replication products. Portable microscopes comes in two variations, see specifications for details. Portable microscope with battery-powered LED illumination. Complete with 10x eyepiece and 10x objective lens. Camera option, Camera connection kit, 20x/40x objective lenses. Measuring eyepiece and Plate micrometer are ordered separately. Portable microscope with battery-powered LED illumination. Complete with 10x eyepiece and 10x objective lens. Camera option, Camera connection kit, 20x/40x/60x objective lenses. Magnetic cross table, Measuring eyepiece, and Plate micrometer are ordered separately.